In today's post, I am sharing a face pack with you that is absolutely perfect for this time of the year. When winter comes it brings a lot of problem with it. Even end of the winter we also have to face different types of problems. And the major problems are dry and cracked skin. Those who have dry skin due to this weather change they suffer a lot. You need to try getting rid of dry skin with this super simple, DIY face pack! This is not only a face pack you can use it as an exfoliation pack. This is perfect for all skin types. It gets rid of the dead cell with ingredients that are natural and will help you keep your skin clear and your skin looking great. When you will feel tightening sensation then gently massage the paste with your index and middle fingertips. For the best results possible, make this treatment on a daily basis or every alternate day. Honey is great humectants, to hydrate the skin and lock in moisture, and also has anti-bacterial properties. Raw milk, rich in B-vitamins, alpha hydroxy acids, calcium and other potent antioxidants, that can help to restore the lost natural moisture from the skin. It will nourish skin cells from deep within and keep skin moisturized all day. Presence of Lactic Acid in milk keeps dry skin moisturizes, hydrates and nourishes and skin looking youthful by combating free radicals that age skin. For vitamin D, it helps to fade dark spots and marks and keep the skin bright. So milk is a super effective and it can be a star ingredient of this pack. Oatmeal is made up of polysaccharides, carbohydrates composed of blended sugar molecules. Oatmeal is a healthy food often eaten by people aiming for their weight loss and a fiber-rich start to the day. As far as beauty enhancement is concerned, it moisturizes, softens, and nourishes it, giving it a longer-lasting protection. 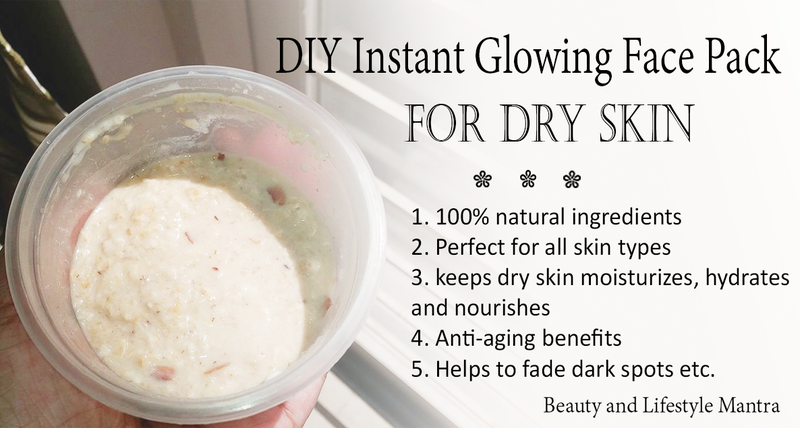 The oatmeal facial mask helps you to solve your redness or those that are caused by allergies or sensitive skins and also adds a glow to your skin! 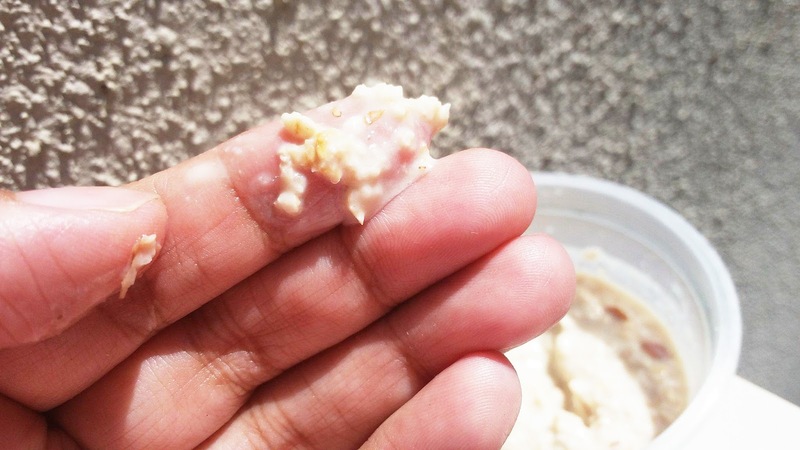 Also, it enhances the texture of the skin and makes it even. If your skin is damaged due to sunburn/allergies/sensitive rashes, you can try out by taking an Oatmeal Bath! (Very Suitable for Sensitive skins). Almond is a fantastic source of antioxidants that help protect your cells from damage, a major contributor to aging and sun exposure as well. I hope you are enjoying this face pack which can be used as a body pack as well. Let me know your thought in a comment below. I never used oats before in a pack, will try now! I am always on the lookout for DIYs. this is an easy to make one.. going to try it out :) thanksk. Informative post. Glowing and radiant skin often makes a person stand out from the crowd, as that glow is not something that ever person can get. It is a dream for almost all women, and now with the advent of fairness creams likerevitol skin brightener cream, It has become easier. I love using natural ways for skin care, Skin care tips are just awesome but it takes time and more efforts to create face packs. We all should use natural way, but if you don't want to do a lot of effort then try dermology anti aging serum it's totally natural and the results are just awesome.